Named director of College Counseling in 2017, Sara Kyle has been serving Blake students in the role of associate director of College Counseling since 2001. 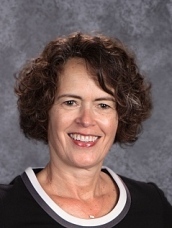 She joined Blake after working in the office of admission at her alma mater, St. Olaf College, where she served in a variety of roles, including director of admission. Ms. Kyle is past president of the Minnesota Association of College Admissions Professionals (MACAC), and has led efforts in leadership development, membership and publicity for the regional organization. She is also active in regional and national advocacy work through the National Association of College Admissions Professionals, and has been actively involved on several national committees. Sara is married with two daughters, both Blake graduates.